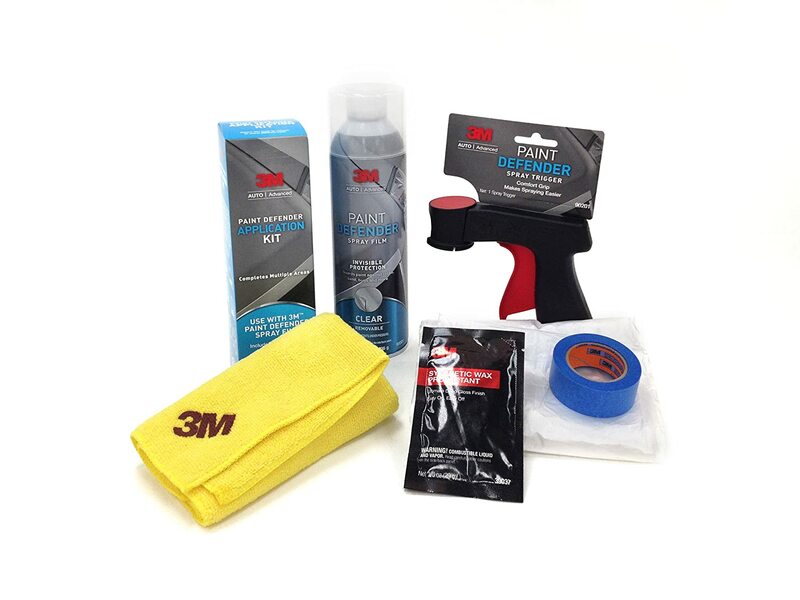 Quick spray protectant – don’t have to tango with putting on a protectant piece uniformly. Spray on Film – it’s like paint; you don’t want anything landing or rubbing on it as its drying, if that happens, you’ll have to start over. Matte Gloss like layer – on darker cars the film produces a sort of Matte “gloss” appearance. Durability – the $400 – $600 protectant films are thicker and can stop chipping from rocks on highways. This film can protect the paint from bugs and minor rocks that come into contact with your protected parts at low speeds, but be careful on highways especially behind lorries. Avoid high-pressure washers or using a high pressure hose directly on a protected part, this may cause it to “tear”. Results are subjective – I’ve seen complaints on reviews on how this product hasn’t been up to par as most 3M products. I believe the main reason behind this is how it was applied. If your car isn’t coming brand new < 1500 miles from a dealership, then make sure you give the part being protected a full detail (i.e. wash, clay, compound, and wax). This will give the film a canvas with fewer impurities to adhere to. I’ve used this product 5 times and results are accurate and precise. Overall this product ita kula tatu na nusu ya tano (3.5/5). Score means it’s a good product. Recommend it to drivers who don’t tail gate and have custom bumpers on their cars or can’t find film protectants for their cars. Take the time to cover all parts that won’t be treated, this will save you time when it comes to apply or remove the film. If washing your car means taking it through an auto car wash, I would stick to the more expensive adhesive film protectants. If you spray too much don’t try and wipe it off. PreviousI GOT 86 PROBLEMS, BUT A BRZ AIN’T ONE.